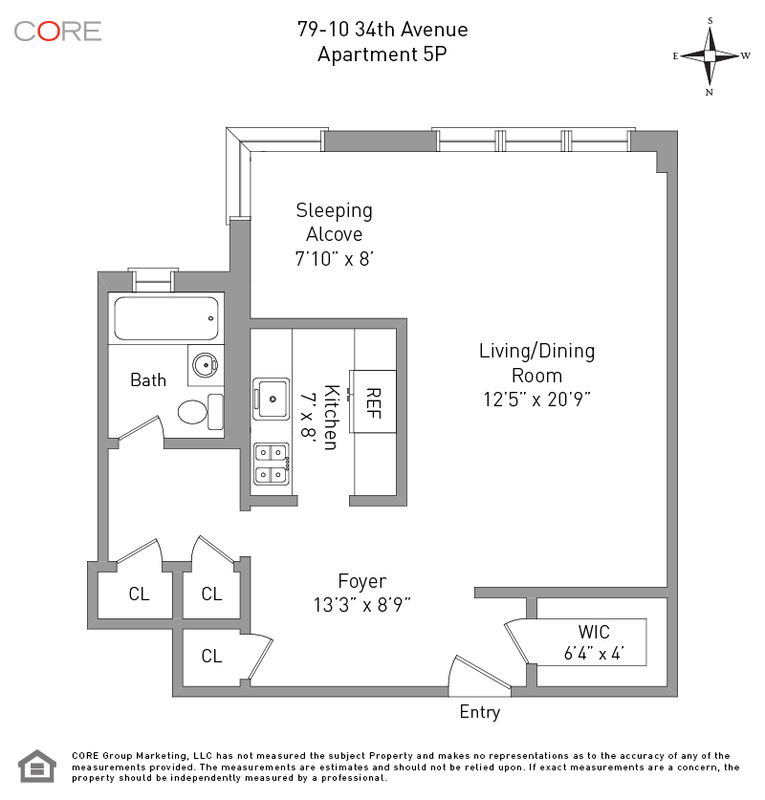 A beautiful, spacious alcove studio is now available in historic Jackson Heights with separate living and sleeping areas in a luxury building. 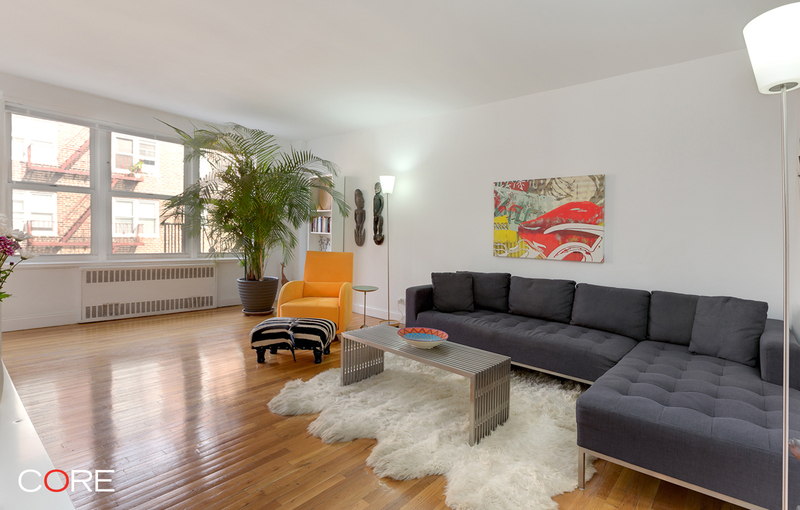 The clean lines of this modern looking co-op apartment include a living room area, sleeping alcove, hardwood floors, a dining area with a designer fixture and an office nook. The kitchen is updated with white cabinets and the white tiled bath has a window. This co-op includes abundant storage - four closets in total and one large walk-in closet. The maintenance for this unit is also very reasonable and includes taxes, heat and hot water.